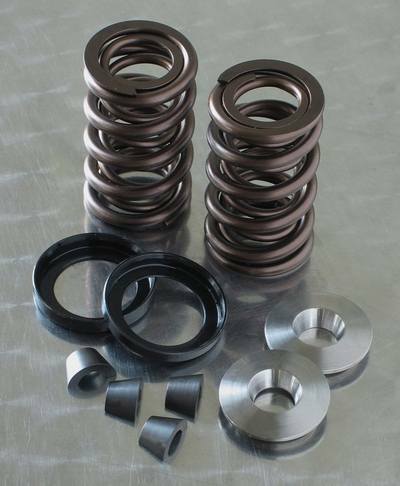 Valve spring kit for high lift cams to fit the Yamaha SR500, SR400, XT500, & TT500. R/D valve spring kit with titanium retainers. For use with high lift camshafts.